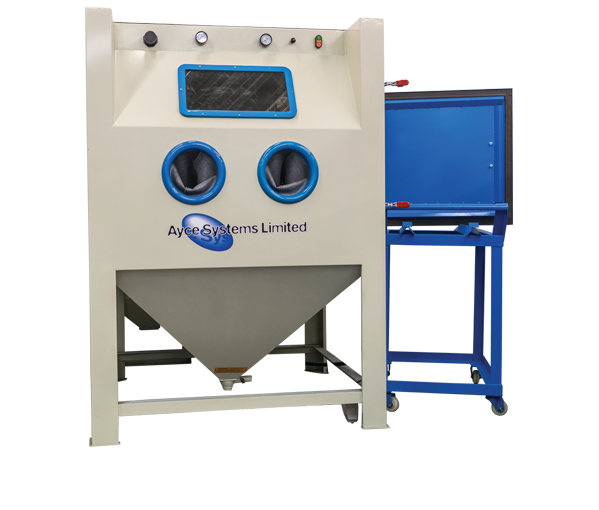 This new cost-effective general purpose single phase sand blast cabinet lets you blast away paint, rust, carbon deposits and other corrosion and debris from your workpiece fast and effectively to a high quality finish. Suitable for use on metal components including alloy wheels and most automotive and mechanical parts. This dry sand blaster features a manual, moveable turntable which you can slide in and out of the cabinet's side door for easy loading of wheels and other heavy items into the blaster. The cabinet features a viewing glass and two 13w energy saving lamps for high visibility whilst blasting. With safe working paramount, the cabinet features non-perishable heavy duty gauntlet gloves. For more information about our General Purpose Sand Blast Cabinet click the button below to download the print friendly PDF brochure, or if you would like to receive a quote for this system, please click the request a quote button.